Story of how a family pulled not one but two children out of the torments of autism--and into a normal life. 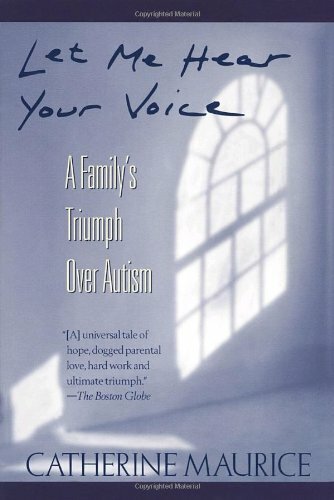 Maurice is the pseudonym for a mother of three whose courage and determination overrode the pessimistic prognosis of autism. The daughter, Anne-Marie, began to turn inward after she had developed normally during her first year. Anne-Marie was given intensive behavioral therapy. These behavioral techniques succeeded, and, in less than two years, the girl was pronounced ``normal''--as was Maurice's younger son, also autistic.